Starring the voices of : Bruce Boxleitner,Jim Meskimen. Going back to listening to audiobooks,Has got to be a must with all this commuting to jobs in the big cities. Personally,I love dvds and webisodes…But,My brother reminded me that Galaxy Press had done wonderful tapes back in the day. With these CD releases,Galaxy Press and Jim Meskimen are doing wonders to bring your ears back to be entertained . “Great Secret” as told by Bruce Boxleitner,is very much like ‘Treasure Of Sierra Madre’ and others that make you want the elusive ‘Great Secret’. Found myself wanting to be patient and help search for ‘the Great Secret’ along with main character . ” Space Can”,R.F. Daley explains the battles and tribulations of a old space ship ,That has one last battle for itself and its crew. Pure SCIFI in texture and brings the battle scenes to outerspace. “The Beast”,Im sorry but …Kept getting a visual of AVATAR while listening to this entry,Lots about death and killing and what it does to your thoughts. 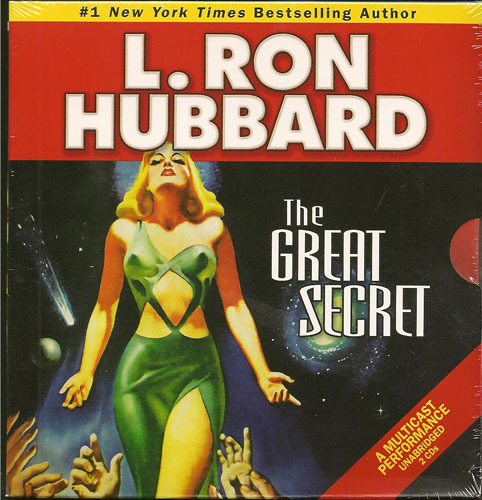 Posted by GUESTAR on February 12, 2010 in audio books, low budget sci-fi and tagged babylon 5, L. Ron Hubbard, pulp novels, radio plays, syfy channel.